Sorry about the bad WWE joke! We’re talking about digital photography today, and the ‘RAW’ we are talking about is the RAW image format! Welcome to the world of Digital Photography. This is a world where film negatives have been swapped for sensors, film grain has been swapped for noise, where ISO and Colour balance are no longer difficult to deal with, and where the photographer processes his own photographs! It’s a great time to be a photographer, and photography has never been as exciting as it is today! So where does RAW fit into this picture? 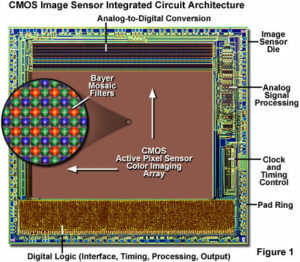 Digital Cameras capture light using either a CCD or a CMOS sensor. Sensors are made up of tiny photoreceptors that are sensitive to either Red, Green, or Blue light. The images that we see are a combination of different intensities of these three basic colours. The information from these photoreceptors are processed by an image processor microchip and are encoded into JPG or TIFF format files. We can see these images on the LCD of the camera or on a computer. There are some disadvantages to this method of obtaining ‘finished’ image files. Let me list them for you. Further tweaking of the image after it is saved as a JPG or TIFF results in some loss in the tonal range of the image and increased noise levels in some cases. If your white balance mode is not set correctly, you could have one hell of a time trying to correct it and when you do, you’ll have a relatively noisy image. This is a bad, bad thing to do! Highlights that are blown (overexposed without much detail) can never be recovered because there is no data in that area. Any edits on the file are destructive edits. Meaning that once the file is modified and saved, the change to the pixel data is permanent and cannot be reverted. This, coupled with saving JPG files is a designer’s recipe for bad image quality! RAW file format preserves all the data! Now, how does RAW help you overcome this? The smart people among you would have realised by now, that the ‘RAW’ file format gives you the raw, unprocessed data that is recorded on the camera’s sensor. This enables you to forego the camera’s built-in image processing algorithms (also called de-mosaicing algorithms) and use one that you prefer. RAW files are uncompressed data from your camera’s sensor. They usually have a higher number of colours (12-14bit) in each colour channel than typical JPG or TIF files. Even when processed, their original data is left intact, with various settings being applied only to the rendered output of the file, and not changing the file itself. Personally, I prefer Adobe’s Photoshop Lightroom Classic CC, and Phase One’s Capture One Pro software… They give me more control over the white balance, the amount of sharpening applied, access to the “curves” and “levels” tools, and the option to use different colour spaces and bit depths. Even more impressive than this list of +points, is the fact that all the changes that I make are not directly to the actual RAW file, but to a settings file or database… This means that if, at a later date, I decide that I don’t like the way that I’ve processed the file, I can go back to the file, revert to the original image and process it all over again (believe me, this will happen to you…). It also means that I can get different looks by processing the same image in different software. Think of it as a Digital Negative! In fact, that’s what Adobe is calling their standardised RAW format… the DNG format… There are some issues about the standardisation of RAW formats at the moment because different manufacturers use different standards to define RAW image data… but that is something that we can discuss at a later date… for now, let’s talk about RAW’s problems. One of the major setbacks that photographers will face with the RAW format is the large size of RAW files. JPG files on my Canon 5D come to about 4MB while RAW files come to about 12-13MB with their automatic compression enabled. This means that it will end up eating away at those megabytes on your CF,SD cards, and Hard Discs faster than JPGs. Storage and archival will eventually become an issue. However, storage media is getting larger and cheaper, so it shouldn’t be too much of a problem. The benefits of using RAW far outweigh the problems of the file space needed. This was first published for Umesh Gopinath (check out his cool photographic style here) at his tech blog, whitespace. You can find the article here. 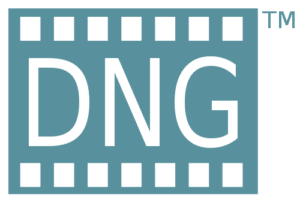 ← Digital Takes Over Film for professionals too..